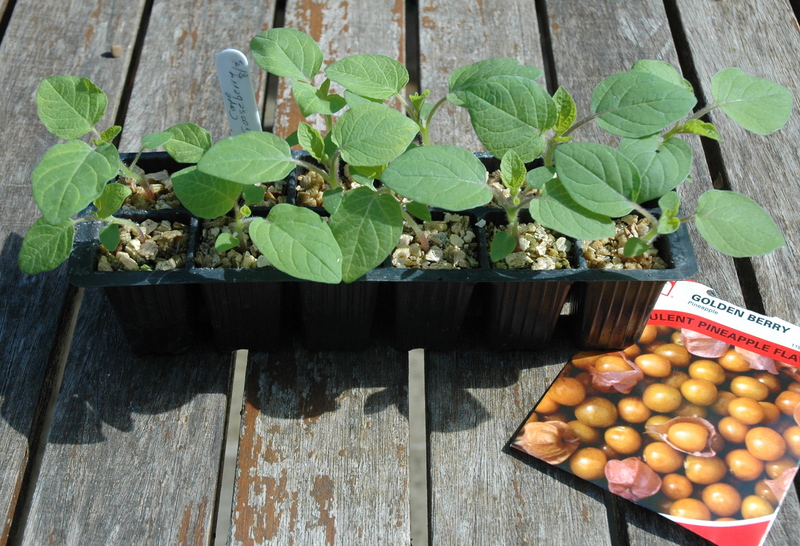 Cape Gooseberry is the fruit of the Physalis Peruviana plant. The fruit is sometimes called Inca Berry, Aztec Berry, Golden Berry and a number of other things around the world. I sowed the seeds back in early March, about 10mm deep using John Innes Seed Compost in individual pods, then placed them in a heated propagator in the greenhouse. Every seed germinated nicely and have been growing nicely in the greenhouse ever since. 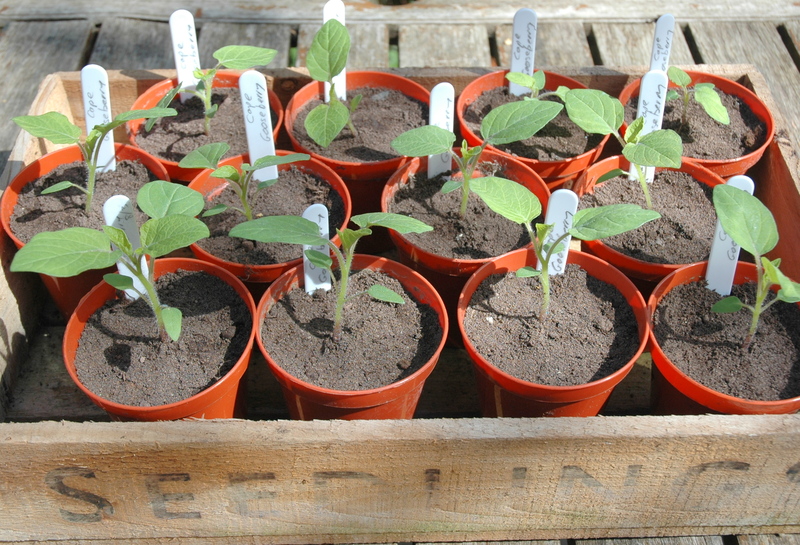 As the seedlings are now about 3 – 4 inches tall, I decided it was time to pot them on. 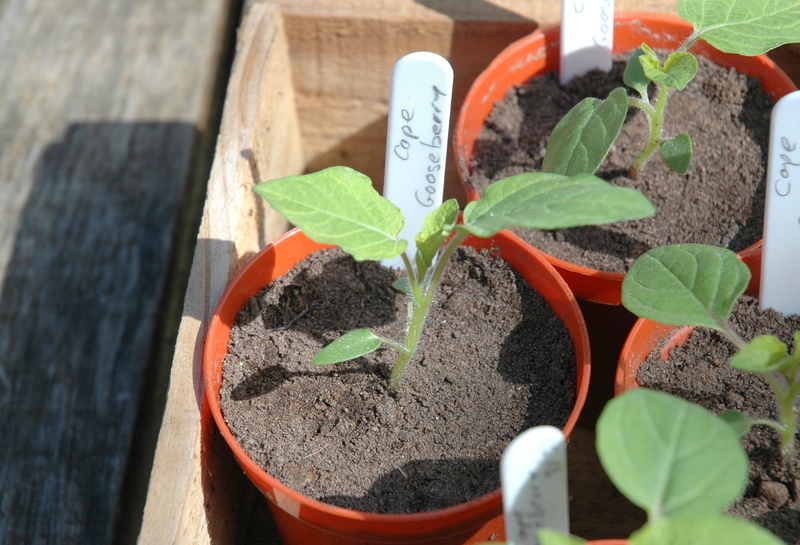 I potted them on into individual pots using John Innes No.1 and they are back in the unheated greenhouse growing nicely. 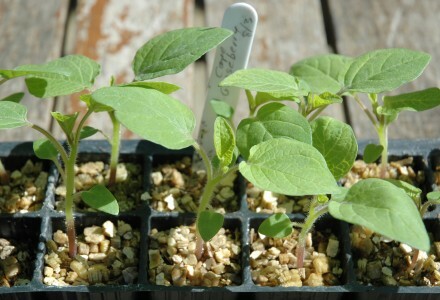 I anticipate planting them out into grow bags or individual 30cm pots later in May. they look real healthy. what type/kind of soil are you using for these plants? Seedlings were planted in John Innes Seed compost and then transplanted into No.1. They were subsequently planted in their final position using general purpose compost. How did you get on with these last year? Was the crop any good? I have seedlings now and planning to grow some in Pots in the Greenhouse and some outside in growbags! But not sure about growing them outside? Hi Carol. The Cape Gooseberry were fantastic last year. We grew them in the greenhouse in large pots and outside in troughs of growbag compost and they both seemed to perform equally well. Large bushy plants with a never ending abundance of fruit. I would certainly suggest giving it a go outside and hope for a nice warm summer.